Whenever you access the internet you want to be free of any restriction from the Administrator of the network or service provider. Although when you use internet from your phone with a data pack activated on your sim, then your service providers gives you the freedom to access any site you want. But when you work in an office, College or when you use a public network, that time there may be a restriction on access to some sites. so when you want to access something on the internet and you redirected to a message something like this “Request denied by WatchGuard HTTP proxy”, so you may feel very bad because you are not authorized to use any site you want. To get rid of this restriction on surfing internet, there are many software are developed to use different servers around the world to access restricted sites. so today we are going to tell you about the top 10 free proxy software which you can use to access restricted sites in Office or anywhere you want. Warning: Don’t Misuse these softwares in any manner otherwise you may be stuck in bad circumstances. Below I have provided you the list of Top 10 free proxy software, you can use any of them. Some of them are free and some of them are paid so select the one which fits your need. 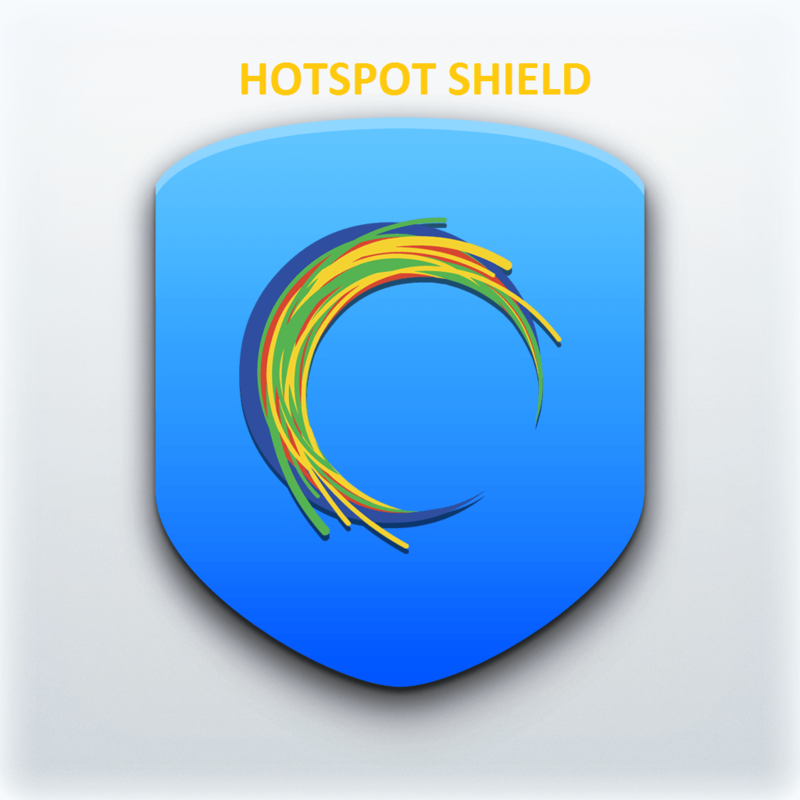 Hotspot shield is the best and most popular free proxy softwares on the list. It allows you to use free servers as well as paid servers. You can use hotspot shield according to your requirement as paid servers are always fast and more reliable but you have to pay for them. So there are many free and paid servers of different countries, which allows you to choose the most comfortable server for you. Spotflux is the second best proxy softwares on the list. The softwares are very easy to use and with simple user interface, it attracts more users towards it. 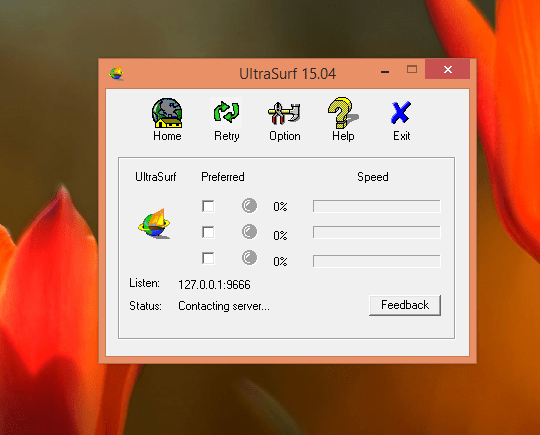 Undoubtedly ultra surf is the lightest software in this list which consumes very low space in your hard drive and also you don’t need to install it on your computer you just need to open it and it is ready to use without any installation. But as internet speed is concern ultra surf consume a small amount of your internet speed, which makes your internet a little bit slow. That is the only reason ultra surf cant make it to the top of the list. PD Proxy is also a good proxy software, which you can use for accessing blocked sites in your area. 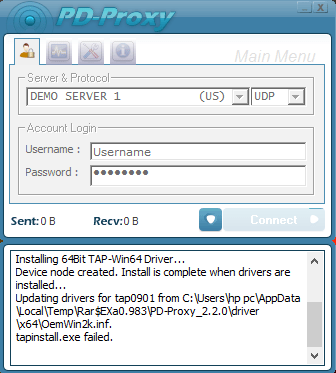 The Pd proxy also offers you many free and paid fast servers for connecting to them. GPass is a quite good proxy software, this software is recommended for you if you would like to do Video and Audio streaming online with safety. The GPass provides you the features such as email, Browsing, online audio and video Streaming with a safe and trusted connection. Tor Browser protects your privacy while using the internet as well as unblock the site which is blocked by the administrator. No one can know what are you browsing and your browsing history will not remember anywhere except in your browser if you are not browsing in incognito mode. Gapp proxy is a simple software allows you to access blocked sites with different free and paid servers. Gtunnel is developed by garden networks. 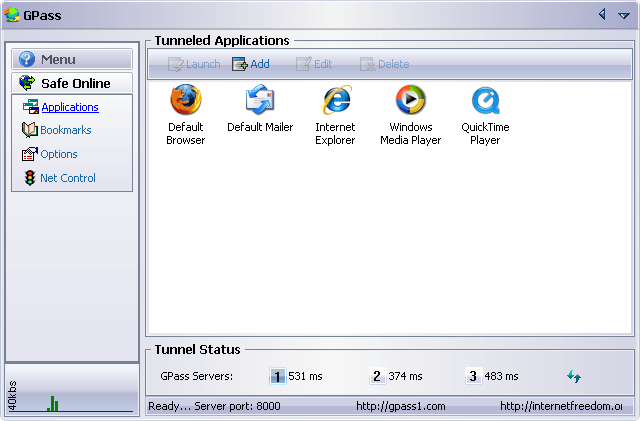 The Gtunnel also hides user IP and protect internet privacy. 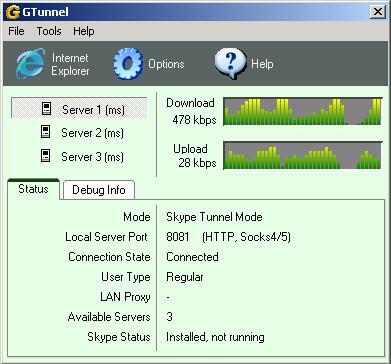 Gtunnel also has a website address “http://www.gtunnel.com” where you can easily access blocked sites without downloading software. Freegate is developed by DIT (Dynamic Internet Technology), it mainly enables users of China, Saudi Arabia, North Korea among others to view blocked websites. Tunnelier comes last on the list, it contains almost same features as other softwares. These are the Top 10 free proxy softwares if you know about other software which should be on the list then tell us in the comment below.